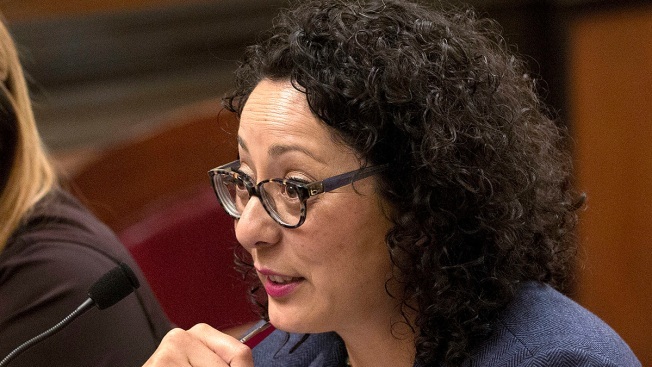 Outside investigators on Thursday cleared a California assemblywoman who was once at the forefront of the state's #MeToo movement of allegations that she groped a male staff member in 2014. The Assembly Rules Committee informed Assemblywoman Cristina Garcia and complainant Daniel Fierro of the findings in separate letters. Fierro said he may appeal the decision because at least one of the witnesses he suggested was never interviewed. Outside lawyers hired by the Assembly conducted the investigation and wrote Fierro was not entitled to a copy because of attorney-client privilege. The Assembly has not released its own statement or details on the full findings because of the 10-day appeal window. A spokesman for Garcia said she plans to return to work Monday. The Los Angeles-area Democrat has been on voluntary leave since February when the claim went public. "I look forward to returning to work and getting back to the business of representing my constituents," she said in a statement. Investigators did substantiate allegations of vulgar language and other claims made by a San Diego attorney representing four former Garcia staff members. A letter to attorney Dan Gilleon said investigators found Garcia "commonly and pervasively" used vulgar language around staff, used staff to perform personal services and disparaged other elected officials. It's unclear what specific language she used, but obscene language and demeaning comments can fall under the definition of sexual harassment. "I would like to sincerely apologize to my colleagues in the Legislature, my staff and most importantly to the residents of the 58th Assembly District for instances where my use of language was less than professional," Garcia said in her statement. Garcia is running for re-election and faces a June 5 primary against six Democrats and one Republican. The two highest vote-getters will move onto the November election.